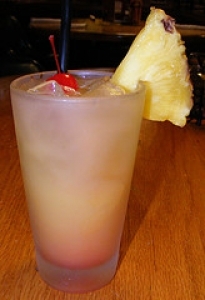 Have you made Bahama Mama? 1. Combine ingredients and pour over cracked ice in a highball glass. This recipe contains potential food allergens and will effect people with Lemon, Pineapple, Alcohol, Fructose Malabsorption, Citric Acid allergies.